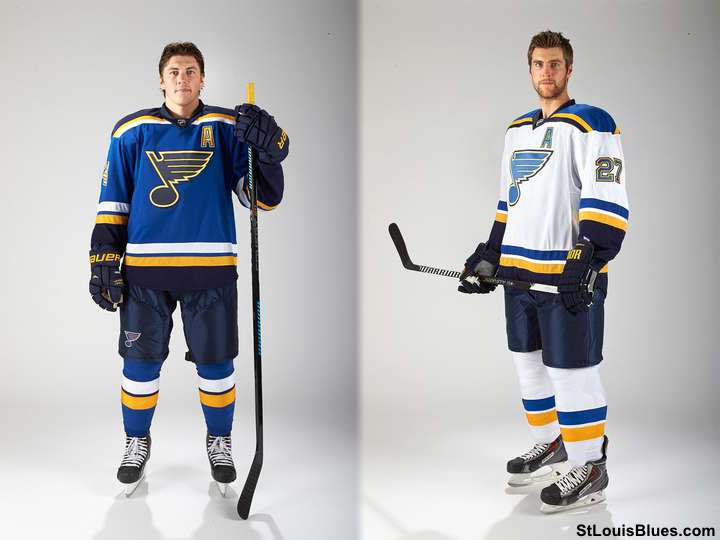 The St. Louis Blues are the most recent team to ditch the initial Reebok Edge designs they were given in favour of something less sucky. The new jerseys are modelled after the last pre-Edge design the team had. Of course some small changes were made. The arm stripes aren't angled (they were on the pre-Edge design) and are bolder, with a slight separation. Hem stripes are back, which is almost always the right decision. The coolest part, to me anyways, is the new style of shoulder yoke being used. To most people who really don't care they won't look much different. To us jersey nerds it's something to study and dissect. They appear to be wider than a standard shoulder yoke, measuring collar bone to shoulder blade. Instead on of having a gradual curve at the ends, they have two small curves and then cuts off straight. Take a look and study some traditional yokes to see what I am talking about. Overall, they look good. Way better than what they were wearing when they left the ice after losing to Chicago in the playoffs last season. Match-ups against the Hawks, Red Wings, and the Wild will really look classy now. 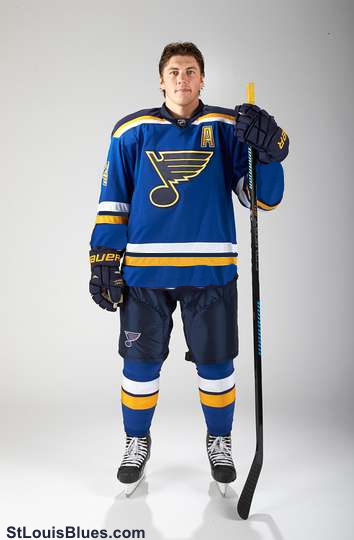 Previous to this upcoming season, other teams had their sweaters figured out while it seemed the Blues were trying to wait until the Edge designs became popular and trendy. Of course they're not perfect. This change was the proper thing to do, but I was hoping for a bit of a different direction. I wanted to see less of the navy blue and more of the lighter blue. I wanted to see something new with some nods to early Blues sweaters. 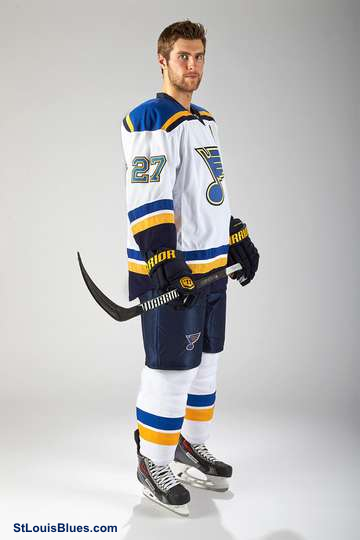 I did a quick mock-up of a couple simple changes I would have made to the new Blues home sweater. It's good and it needed to be done, but I'm left feeling a little empty because I wanted something more.